Obverse: The usual Sunni legends surrounded inside a square in the center with the names of the 4 first Caliphs. Notice engraver's working with letter "ha" in Muhammad. 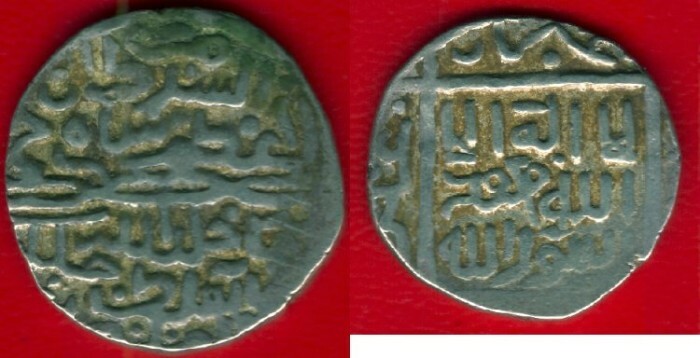 Reverse: The name and the titles of the ruler with the mint. Date is missing. Notes: Amol is a town in the province of Mazandaran in the Northern Iran.